The pace of single-family home starts in the Austin area are at their highest level in 10 years. Approximately 1,000 more home starts in the second quarter of 2017 than the year prior. More than half of these home starts were in the $250,000 – $299,999 price category, with Cedar Park/Leander West, Pflugerville and Kyle/Buda comprising nearly one-third of home starts activity. $274,450 – up 4.4 percent in Williamson County. 10.2 percent in the city of Austin. In the last few years expectations during the summer selling season has been a high demand, low inventory levels, and an increase in home prices. Increased sale during these months resulted in a shorter selling period as well. A decrease in the number of houses sold and an uptick in the number of days it takes to sell a house during July, results to a higher inventory of available houses. Recent statistics on new home construction in the Austin area, shows approximately 1,000 more home starts in the second quarter of 2017 than the year prior. More than half of these home starts were in the $250,000-$299,999 price category, with Cedar Park/Leander West area being a major contributor to home starts activity. 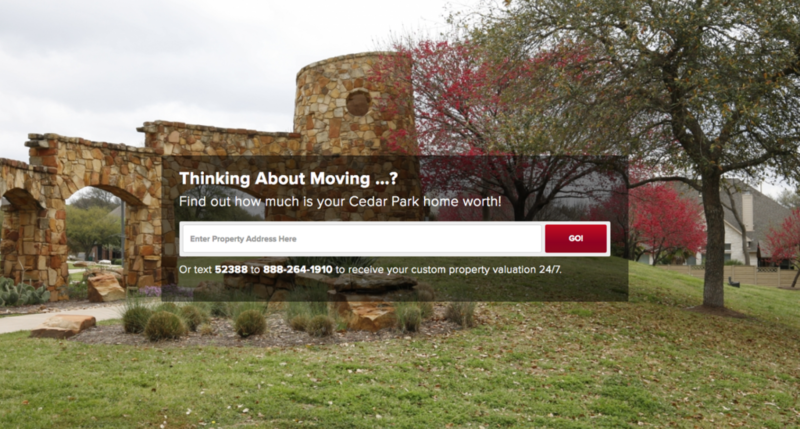 These signs point to a slower sales and possible stabilization in Cedar Park housing prices. This is good news if you are a buyer, but if you plan to sell, may be it is time to get serious and make preparation to put your house on the market for sell. You may follow details of the real estate trends, market conditions, and monthly home sales in Cedar Park in my monthly blog on my site or on ActiveRain (real estate information) blog site. Below is a summary of the July Housing Market in Cedar Park. Expand on the appropriate section below to find out which one of the houses in your neighborhood changed owner and which one is currently seeking a new owner. All this activity has affected your home’s value! I hope you find this helpful. Referral is a big part of my business and as always I appreciate your consideration in referring any friends, family, or colleagues my way. Thank you for supporting me and my business endeavors. Please don’t hesitate to ask me questions about real estate, your desired neighborhoods, or your house value! Who Moved In and Out of Your Neighborhood in Leander? During the month of July, there was a decrease in the number of houses sold and an uptick in the number of days it takes to sell a house, indicating a high inventory of available houses. Signs point to a slower sales and possible stabilization in Leander housing prices. This is good news if you are a buyer, but if you plan to sell, may be it is time to get serious and make preparation to put your house on the market for sell. You may follow details of the real estate trends, market conditions, and monthly home sales in Leander in my monthly blog on my site or on ActiveRain (real estate information) blog site. Below is a summary of the July Housing Market in Leander. 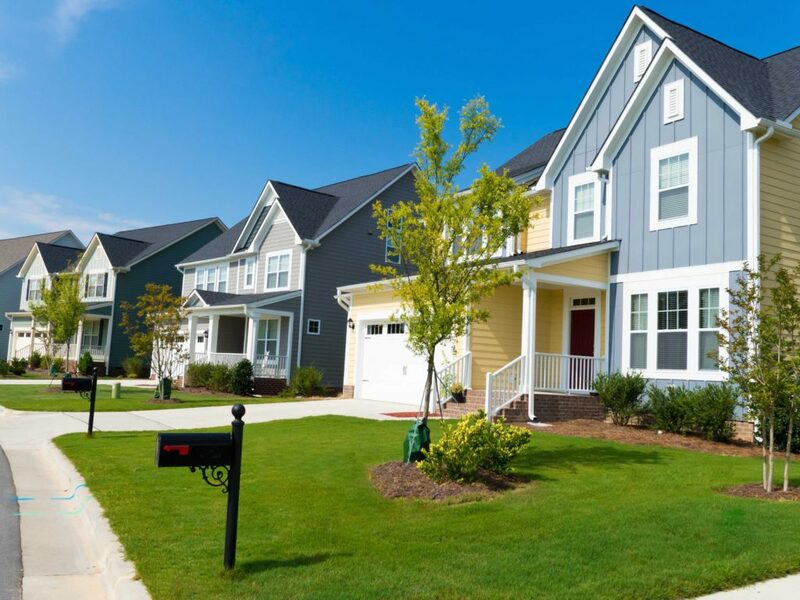 Expand on the appropriate section below to find out which one of the houses in your neighborhood changed owner and which one is currently seeking a new owner. Buying a house ranks high among the top lifetime decisions; along with choice of a careers, college, spouses and towns to live in. Like some of the other big life decisions, buying a house is more emotional than purely rational. People generally don’t choose a house, they fall in love with it! The sense you get within 10 seconds of walking into a place that it is just right. For many people, the whole experience is difficult emotionally and economically. I am of no help on the emotional part of the decision! Instead, I try to expand on the economic part. Living in the Austin area, one can not escape constant reminders about the increasing housing prices. Perceived high down payment is enough to scare most people away from even thinking about it. Affordability is a concern, and sometimes it seems buying a house is totally out of your reach. In my previous posts, I have written about ways to secure the down payment using one of available programs, how to deal with other obstacles, by improving your financial health , and always be on the lookout for plans and programs for a more affordable housing. In addition to the down payment, cost of home ownership is an important factor in making an economic decision about buying. To make rent vs. buy decision realistic, all expenses and individual situation has to be considered. A realistic comparison should make it easier to make that economic decision easier. 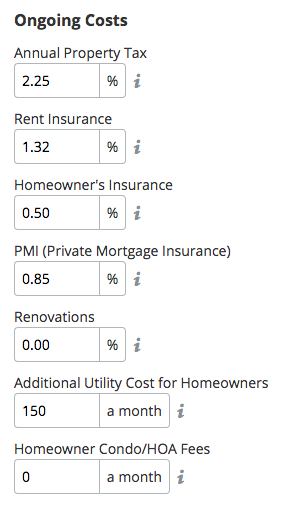 There is an on-line tool that takes most of these variables into account. 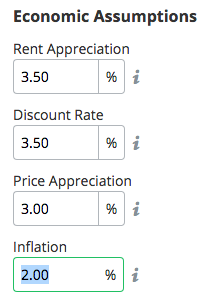 Let’s assume you pay around $1650 monthly rent for a 2 or 3 bedroom apartment. 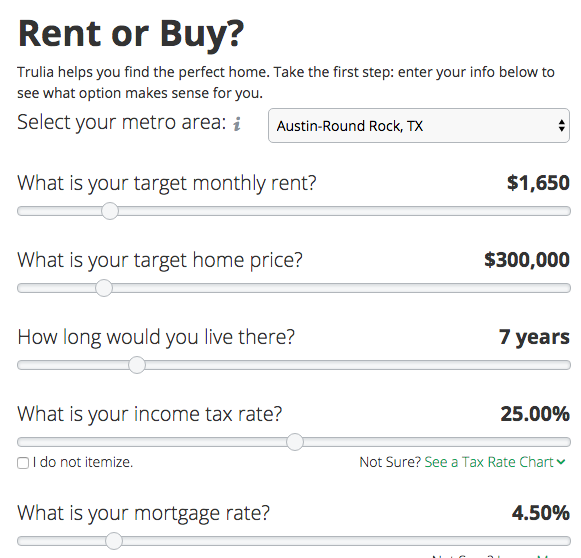 Now if you buy a house priced around $300,000 (which is close to the median price of the house in Austin)) and assuming you get an 30 year FHA loan with a 3.5% down, taking into account your expected annual property tax of roughly $6600 and $1600 of home owners insurance. Taking these into consideration and allowing some extra utilities cost that you may have to pay if you own your house, the ‘ownership’ cost of a is around the rent payment of $1650. 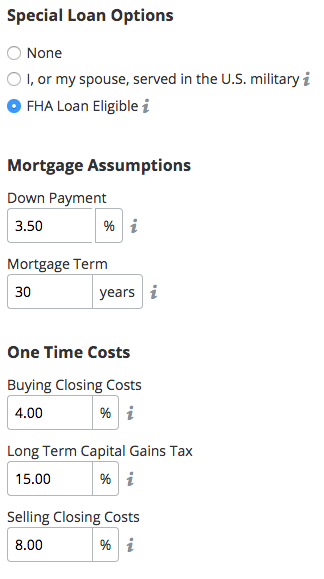 Now, if you can pay extra for down (10% instead if 3.5%) and now you can afford a larger house (around $340,000) or lower your monthly payment by $200; making owning a house to be even cheaper than renting. When considering owing a house, be mindful of other payment obligation. In general the 1/3 rule applies; meaning the debt payments, including your mortgage loan payments, should not exceed one-third of the net income. Although the bank may lend you more money, this 1/3 rules puts you in the safe zone ensuring that you are well within your means. 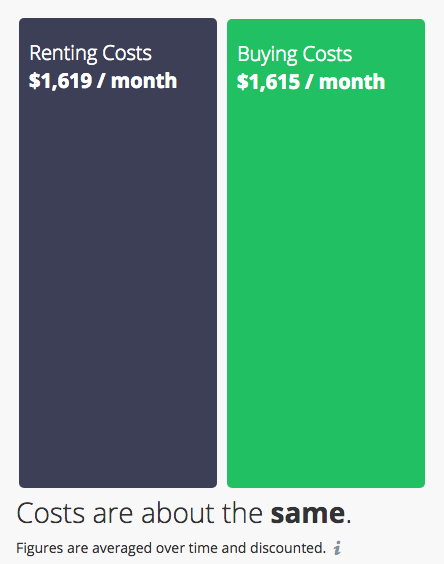 Working out the affordability in this way would ensure that repayment of debt is never a burden on the individual. If you have more question on this or other aspect of home ownership, please contact me. Hot Central Texas summer days are here and the real estate buy buy and and sell season is in full swing. It sounds like a broken record, but area housing market is hot and affordable housing specially is in real short supply. I recently reported on ways that the Austin City Planners are trying to address this shortage by encouraging developers to build more affordable hosing around Austin. You cad read my report and follow my monthly blog about the real estate trends and market condition on my site or on ActiveRain (real estate information) blog site. Recent trends in Leander housing market has seen continued decrease in active listings of houses for sale. and continued steady or increasing demand. This high demand results in continued increase in prices. In short, until demand subsides or there is an over-supply of new houses, we are in a long term pattern of price growth. Below is a summary of the Housing Market in Leander. You can get more details about the houses sold and currently in the market for sale by expanding appropriate section. 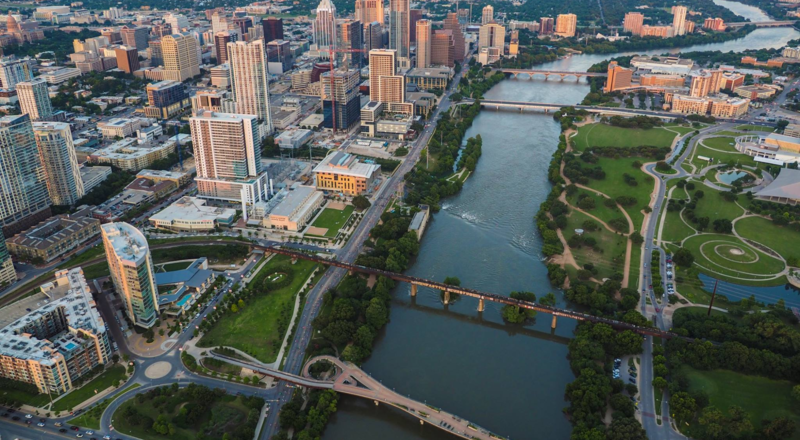 I recently reported on ways that the Austin City Planners are trying to address this shortage by encouraging developers to build more affordable hosing around Austin. 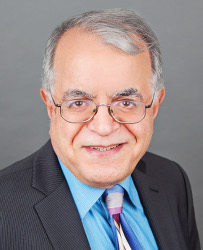 You can read my report and follow my monthly blog about the real estate trends and market condition on my site or on ActiveRain (real estate information) blog site. Recent trends in Cedar Park housing market has seen continued decrease in active listings of houses for sale. and continued steady or increasing demand. This high demand results in continued increase in prices. In short, until demand subsides or there is an over-supply of new houses, we are in a long term pattern of price growth. Below is a summary of the Housing Market in Cedar Park along with break-down for two of the largest housing communities in the city, Avery Ranch and Cypress Creek. You can get more details about the houses sold and currently in the market for sale by expanding appropriate section. Austin housing market continues to be tight with a short supply of affordable housing. According to the Austin MLS data, the median price for a single-family home rose 8.6 percent year-over-year in May to $310,000. Single-family homes priced at or below $150,000 were nonexistent and only %13 of houses sold $150,000 to $250,000. To address the shortage of affordable housing, the latest attempt by the City Planner is to revise the building code to encourage more affordable housing by the developers. CodeNEXT is the latest plan to overhaul the Austin’s land-use regulations to address this. The term “missing middle” is used to describe residences that are affordable and attractive to middle-income earners. 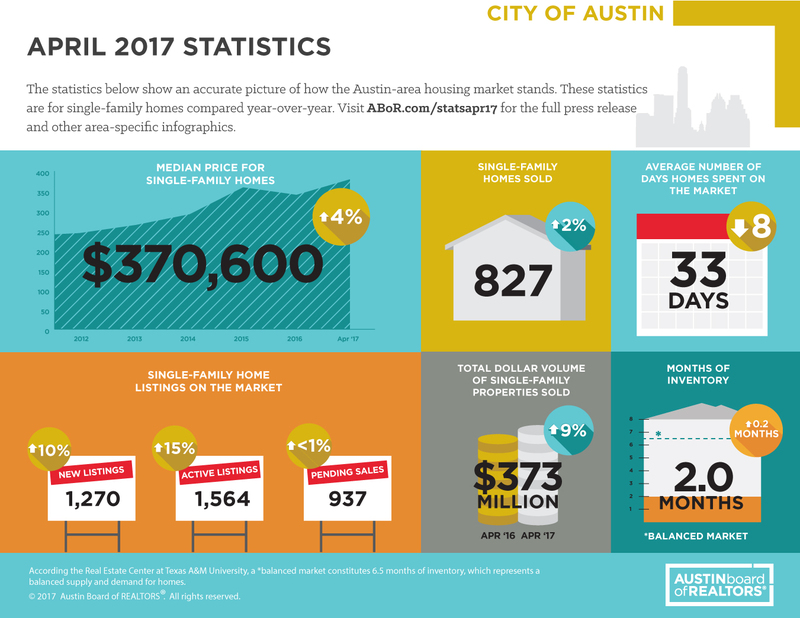 It’s a segment of the Austin housing market that has been neglected as market forces have driven single-family home prices in Austin out of the range of middle-income earners. One strategy for creating more affordable single-family homes is to permit more diverse and more dense types of residential structures, such as row houses, town homes, cottage homes and accessory dwelling units. The theory is that if Austin developers can put more units on smaller parcels of land, it will go along way toward reducing the costs required to provide housing. Mapped out, those zones form a patchwork quilt of parcels scattered across Austin, such as off of Far West Boulevard, or parts of the Burnet Road corridor. Many of those zones are centered on major corridors where row houses might not be the best fit. Although many of those “more intense” residential zones are unlikely to be developed as row houses because developers can get a bigger bang for their buck with other building forms than with row houses. City planners readily admit the lack of middle-income housing in CodeNEXT, and are open re-evaluating these potential building types and the number to be built. They emphasize that the maps are draft and encourage people to get involved in the feedback process. Read my monthly monthly reports on various real estate topic and market activity on houses sold and houses currently on the market on my blogs on my site or on the ActiveRain (real estate information) blog site. May 31st is the last day to file a request and protest your 2017 property appraisal and property tax bill. You can file a protest online whether you live in Travis County or Williamson County. Once you are called for an in-office interview to present your case, you are expected to back-up your claim for a lower valuation and lower taxes. Your chances for a reduction is enhanced by presenting a recent comparative market analysis (CMA) that is prepared for your house. This is a report that compares your house against recent home sales in the neighborhood and come up with an estimated value; it can be prepared by a real estate agent. If you plan to protest your property taxes and would like to have such a report, contact me for a FREE CMA report tailored for your house. As a realtor, I am often asked “How is the Housing Market?”. In an attempt to provide an answer, I prepare these monthly reports. It summarizes the real estate activity for houses sold and houses currently on the market. There reports are tailored for Leander. You can view all previous reports as monthly blogs on my site or on ‘ActiveRain‘ (real estate information) blog site. Recent trends in Leander housing market has been a continued decrease in active listings of houses for sale. However, the demand has been steady or increasing. This high demand results in continued increase in prices. In short, until demand subsides or there is an over-supply of new houses, we are in a long term pattern of price growth.